Farming is risky business in Morocco, where a 30 percent drop in precipitation since 1970 makes steady, predictable annual crop yields virtually impossible. So the World Bank was called in to help implement Plan Maroc Vert – an ambitious initiative designed to boost the country’s cereal production and create a more sustainable agricultural sector by 2020. And though Morocco’s Berbers have long cultivated water management practices that sustained their crops, it turns out that direct seeding can substantially improve yields in an uncertain future. Direct seeding involves planting seeds directly into the soil instead of nurturing seedlings in water-intensive nurseries beforehand. “…direct seeded plants are more likely to be able to reach moisture remaining in the soil after the rainy season has ended than those raised in plant nurseries because of their more extensive root system,” according to the Eden Initiative, which began promoting direct seeding in the Sahel in the 1990s. “They are therefore better able to tolerate drought,” they add. This is of particular importance to small farmers who have limited access to sophisticated irrigation systems, and where water supplies are intermittent, scarce and shared across various sectors. “Compared to traditional plowing and sowing, direct seeding (also known as “conservation agriculture” or “no-tillage”) allows for both increasing organic matter in soil and making the most of the limited rainfall,” Gabriella Izzi from the World Bank notes. 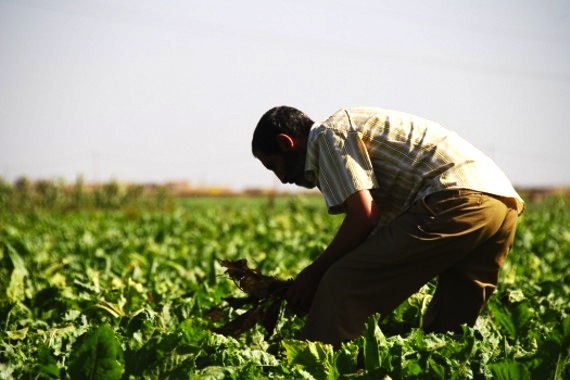 While other water-scarce countries in the Arab world are turning to land grabs to generate a sense of food security for the upcoming decades, Morocco is investing in its own country’s food production systems – a much more sustainable approach in the long term. And various sectors are pooling their resources to achieve these goals. “…associations of small farmers, public services, agencies, and research institutes, are working together to develop direct seeding in Morocco,” Izzi reports on MENA blog. “The establishment of associations allows for economies of scale among small farmers. The alignment of financial subsidies with applied research allows associations to access the state-of-the-art machinery needed for direct seeding,” she adds. As climate change escalates, with no sign of abatement in the foreseeable future, it is crucial for citizens and governments across the globe to start implementing sound adaptation strategies now – before it’s too late. And Morocco is ahead of the fold. Next Next post: Ultra-light Dubai Car Travels 1000 KM On One Liter of Fuel!